In 1984, Dr. Bove began her studies at the National Institute of Medical Herbalist’s School of Phytotherapy, gaining membership with the institute shortly after receiving her diploma of phytotherapy. Returning to the U.S., she attended Bastyr University and received her doctorate of naturopathic medicine and certificate of midwifery. Mary served as the chair of botanical medicine and midwifery co-chair at Bastyr University for several years before returning East for clinical practice. She owned and managed the Brattleboro Naturopathic Clinic for 25 years, practicing general family medicine, offering homebirths, and specializing in pediatric care. 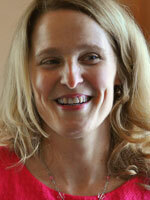 She left clinical practice a year ago to educate, write, and to teach. Dr. Bove’s book “The Encyclopedia of Natural Healing for Infants and Children” has served as a leading reference for herbal care with children. Dr. Bove lectures internationally, participates in many natural medicine conferences, and currently works as the medical director for Gaia Herbs. Chanchal was the faculty chair of Botanical Medicine at the Boucher the Boucher Institute of Naturopathic Medicine in New Westminster 2004 – 2016. She holds diplomas in Botanic Garden Management and in Botanic Garden Education from Royal Botanic Gardens, Kew. She lives on Vancouver Island, British Columbia where she and her husband manage Innisfree Farm and Botanic Garden, a 7 acre internationally registered botanic garden specializing in food and medicine plants, and host internships in sustainable food production and herbal medicine. Chanchal runs a private herbal medicine clinic with a specialty in holistic oncology, and offers a monthly student training clinic that provides free health services to the community. The farm also hosts Gardens without Borders, a federally registered not-for-profit society established to run the botanic garden and provide horticulture therapy. Dr. Espinosa is a naturopathic doctor, licensed acupuncturist and certified functional medicine practitioner recognized as an authority in holistic urology and men’s health. 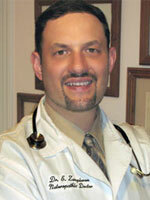 He is faculty and holistic clinician in Urology at New York University Langone Medical Center. As an avid researcher and writer, Dr. Geo has authored numerous scientific papers and books including co-editing the Integrative Sexual Health book, and author of the best selling prostate cancer book: Thrive, Don’t Only Survive. Dr. Geo is the Chief Medical Officer (CMO) and formulator at XY Wellness, LLC and lectures internationally on the application of science-based holistic treatments in urological clinics. When not working with patients or researching, he practices strength training and the Israeli martial art, Krav Maga, as well as Brazillian Jiu-Jitsu. Dr. Friedman is a former adjunct instructor of endocrinology at the University of Bridgeport in Connecticut and is the author of the medical textbook Fundamentals of Naturopathic Endocrinology. 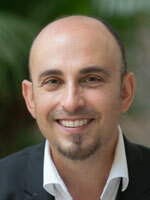 His research on the use of thyroid hormones has been published by the University Puerto Rico Medical School. Dr. Friedman has lectured at three naturopathic and allopathic medical schools including NCNM, UB, CCNM and at the Dehradun Medical School of Physicians and Surgeons in India. 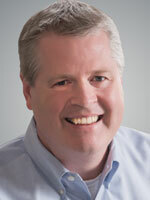 He is currently the Executive Director of the non-profit Association for the Advancement of Restorative Medicine (AARM). Dr. Hobbs earned his PhD at UC Berkley. He is also a licensed acupuncturist, herbal clinician, research scientist, expert witness, botanist, mycologist with over 35 years of experience. He is the author of over 20 books and has taught at universities and medical schools such as Stanford Medical School, Yale Medical School, Bastyr University and the National College of Naturopathic Medicine. 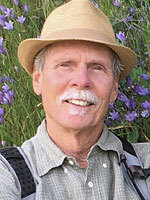 He taught classes for 6 years at the University of California, Berkeley as a Ph.D. graduate student in evolutionary biology, phylogenetics, plant chemistry, and ethnobotany. Dr. Hobbs writes numerous articles for current health, herbal and scientific publications and enjoys translating scientific and traditional literature into a user-friendly format that is accessible to the interested lay person and medical practitioner. 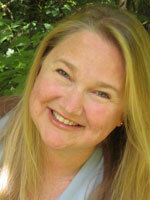 Dr. Lindrooth is an herbalist and chiropractor with a busy practice in Pennsylvania. For more than 20 years she has helped her patients working with plant medicine and natural methods to restore well-being on all levels. 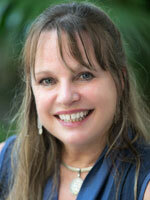 She believes passionately in sustainable living and integrates “green” methods in every aspect of her practice and life. A teacher at heart, she has offered many workshops and classes locally, online and as a featured teacher at the New England Women’s Herbal Conference. She is the founder and organizer of the MidAtlantic Women’s Herbal Conference, an event held in Pennsylvania that supports women in the region interested in sustainable health and living. Carrying the spirit of MidAtlantic Women’s Conference throughout the year, she developed on online forum, GingerJuice, where women can gather, make connections about sustainable health and where learning continues with Charis and many guest teachers. Dr. Low Dog is the former director of the fellowship program at the University of Arizona’s Center for Integrative Medicine. She is an internationally recognized expert in the fields of integrative medicine, dietary supplements and women’s health. 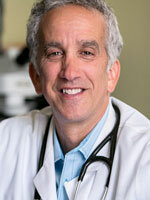 Dr. Low Dog was appointed by President Bill Clinton to the White House Commission on Complementary and Alternative Medicine Policy, served as the elected Chair of the US Pharmacopeia Dietary Supplements and Botanicals Expert Information Panel, and was appointed to the Scientific Advisory Council for the National Center for Complementary and Alternative Medicine. 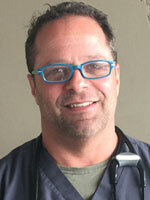 Dr. Low Dog currently serves as the Fellowship Director for the Academy of Integrative Health and Medicine. Author and Naturopathic Doctor Kate Rhéaume is a graduate and former faculty member of the Canadian College of Naturopathic Medicine. Originally from Montréal, Québec, Dr. Kate lectures internationally on many topics related to health and wellness and is a frequent guest on radio and television across North America. She is an expert on the latest K2 research and author of the best-selling book Vitamin K2 and the Calcium Paradox: How a Little Known Vitamin Could Save Your Life (HarperCollins). 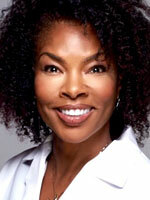 Dr. Silas graduated from The Arthur Boonshoft School of Medicine in Dayton, Ohio. 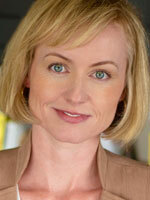 She is board certified in family medicine and board eligible in functional medicine. She is an emergency department physician with over 20 years experience of combining medicinal botanicals and other integrative approaches into her healing modalities. She especially enjoys to inform, inspire, encourage those every day healthy, happy, wholesome lifestyle choice that enhance the body/mind/spirit innate abilities to heal itself and thereby prevent, reduce, eliminate the symptoms of chronic disease and dependence upon prescription medications. Dr. Ingels is a respected leader in natural medicine with numerous publications, international lectures and more than 26 years experience in the healthcare field. He received his Bachelor of Science degree in medical technology from Purdue University and his Doctorate of Naturopathic Medicine from Bastyr University in Seattle, Washington. Dr. Ingels completed a residency program at the Bastyr Center for Natural Health. 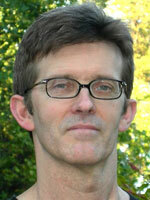 He is a Fellow in good standing with the American Academy of Environmental Medicine. Dr. Ingels is a licensed naturopathic physician in the State of Connecticut and a licensed Doctor of Naturopathic Medicine in the State of California, where he maintains practices in both states. 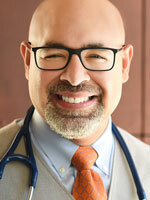 He is also Board certified in Integrated Pediatrics by the American Association of Integrative Medicine. Dr. Ingels is currently a Board member of the American Academy of Environmental Medicine and former Board member of the American Association of Naturopathic Physicians. He has been published extensively and is the author of The Lyme Solution: A 5-Part Plan to Fight the Inflammatory Auto-Immune Response and Beat Lyme Disease. Dr. Stansbury has practiced in Southwestern Washington for more than 25 years specializing in women’s health, mental health, and chronic disease. 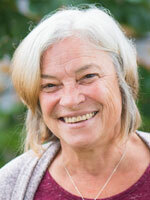 Dr. Stansbury is the former chair of the Botanical Medicine Program at the National University of Naturopathic Medicine in Portland, Oregon, and remains on the faculty teaching natural products chemistry, botanical influences on cell biology, ethnobotany field courses, and other miscellaneous topics in herbal medicine. 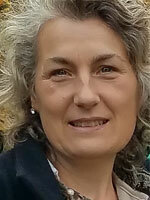 She is publishing a new series of herbal reference books titled Herbal Formularies for Health Professionals. She writes for numerous professional journals plus teaches around the country at a variety of medical and herbal conferences. She frequently travels to the Peruvian Amazon, studying South American plants and working with various tribes in the jungles of Manu and Iquitos. Dr. Zampieron has almost 30 years of experience as a licensed naturopathic physician, professional herbalist, tropical ethnobotanical researcher, botanical formulations inventor, professor, educator, internationally known author, lecturer, spokesman, and radio personality. His most recent book is titled Supplements for Pain: Comprehensive Natural Help for Arthritis, Fibromyalgia and other Inflammatory Conditions. Dr. Z, as he is known to his students and audiences, is one of the founding fathers of the University of Bridgeport College of Naturopathic Medicine, the first accredited naturopathic medical college on the US Eastern seaboard. Dr. Z has trained hundreds of naturopathic doctors and physicians internationally with his encyclopedic knowledge of plants and is steward of the college’s medicinal plant garden. Dr. Zwickey is the former dean of research and graduate studies at the National University of Natural Medicine (NUNM), director of Helfgott Research Institute, and professor of immunology. In 2003, Dr. Zwickey launched the Helfgott Research Institute at NUNM, where she applied her immunology expertise to natural medicine. Dr. Zwickey has used her expertise in program development to establish the School of Research and Graduate Studies at NCNM, and served as its leader. 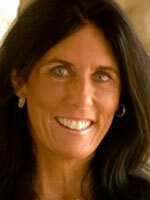 She has developed Masters programs in Integrative Medicine Research, Nutrition, and Global Health.